Another day, another story from the land of Hope&Glory. It’s been a mad week. But a good one, we’re relieved to report. Yesterday, we were out and about with some standy-stilly statues (technical term that), helping The Royal Mint to educate the 25% of adults across the UK who don’t know who Britannia is. 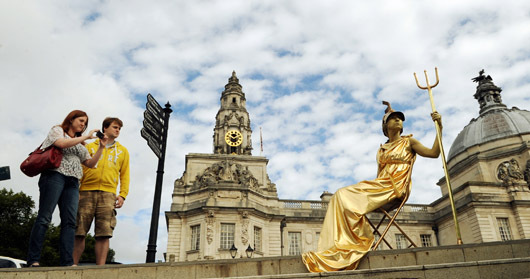 We’ve recruited a small army of statues to appear in UK cities to spread the word about the face of the nation. There have been some sweet pieces in The Times, Daily Mail, Daily Mail Online (check the comments on that one, they are … enlightening) and METRO. More to come as the day rolls on.